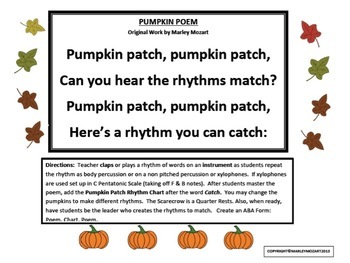 PUMPKIN PATCH POEM uses body percussion, small unpitched percussion, xylophones, metalophones, or glockenspiels to create an orchestration. Or Use the poem as a clapping rhythm game. 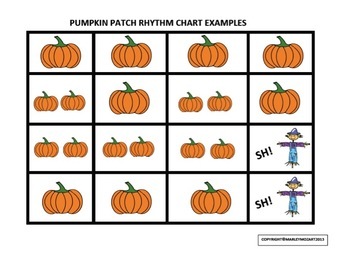 Also Create an ABA for using Poem and Beat Chart.